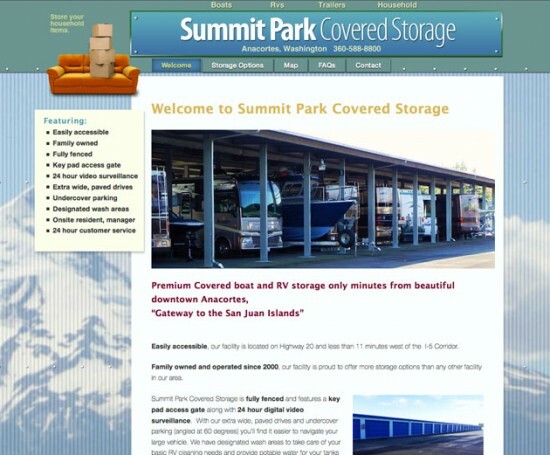 Summit Park Covered Storage is a storage facility in Anacortes, Washigton, gateway to the San Juan Islands. 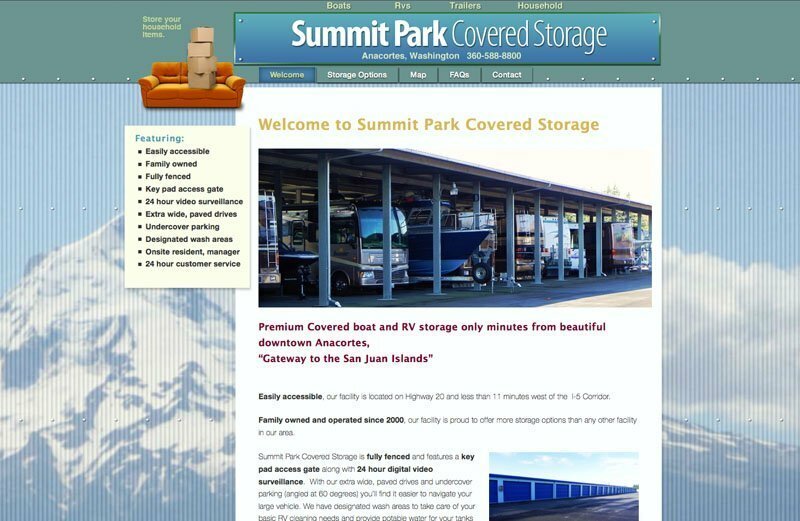 Design and build a website that showed the premium quality of the facility while expressing the “family-owned” personal service that Summit Park offered. 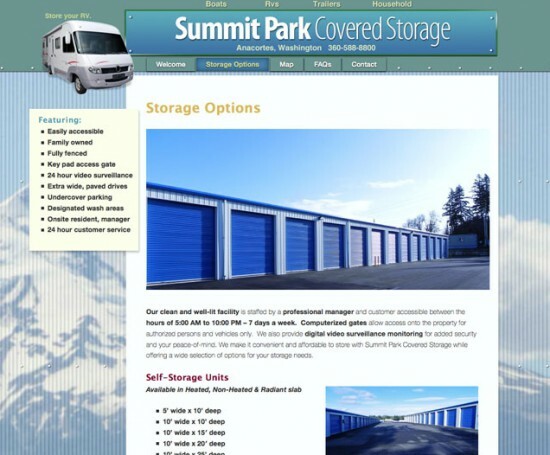 It would display the variety of storage services available and would be easily maintained and updated by them. 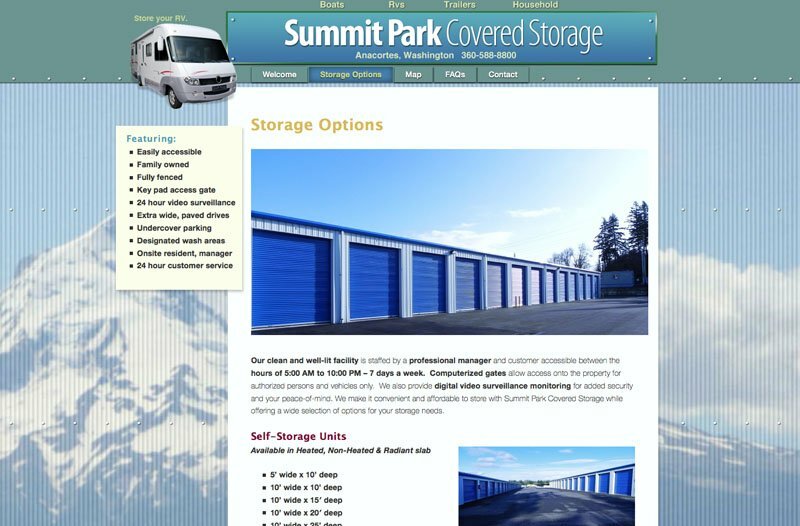 Sheet-metal, rivets and a photo of nearby Mount Baker were used in the design to display location and quality. I used a series of rotating image in the upper left header to visually and quickly tell the variety of services.